Can we create a computer which emulates the human brain? We put that question to members of the EU flagship Human Brain Project, a 10 year effort to study the brain in unprecedented detail and simulate it inside a computer. The project will offer a lasting common platform for neuroscience and computing to study the brain from every angle - from genes and cells, to anatomy and systems, to theoretical models. The effort has prompted speculation over whether it's possible to create an artificial intelligence comparable to human intelligence. Those that support the idea that such a device can be created come from many fields, including Professor Philippe Ryvlin, a leading neurosurgeon and researcher at Vaud University Hospital in Switzerland. "Whatever happens one day we'll be able to inject the computational power of a human brain into a machine," he says. "There's still a lot of debate on how to quantify the computational power of the human brain, and its memory capacity too, but in any case it's a finite number. So it's something which will be possible within the framework of technological development." 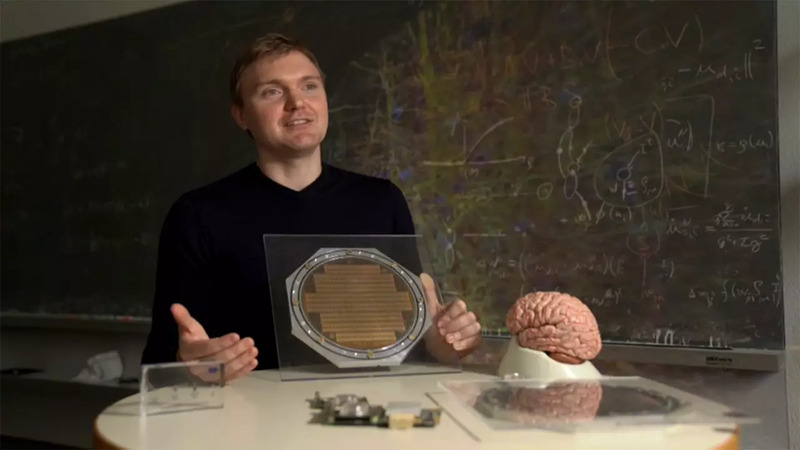 Mihai Petrovici from the Universities of Heidelberg and Bern has been working within The Human Brain Project on so-called 'neuromorphic' computers, which are massively parallel devices that compute in a way that's comparable with the human brain. His view on the question is that of a physicist. "The question comes down to, I think, whether there's anything special or magical about flesh and blood, about biology," he argues. "Probably everyone in neuroscience at this point, and I would even say most philosophers these days would agree that there is absolutely nothing special about biology. If we understand which aspects of biology are important for information processing, then we can copy them to a different substrate made, in this case, out of silicon," he concludes. How do you explain creativity? The Human Brain Project's Scientific Director, Katrin Amunts, steps in to dampen down expectations about what we can achieved in terms of human-level AI, and to what extent we can prove it. She stresses the profound complexity of the human brain. "When we have a certain molecule binding to a receptor and leading to an activation of another neighbouring cells, how at the end we have something complex, like a poem, or we have a piece of music at the end." "How can we explain creativity, how can we explain self-reflections? These are higher cognitive functions which are very familiar for us, but we are so far away at the moment to understand them in such a way that we can re-engineer it in a machine." The Human Brain Project, financed by the European Commission, will conclude in 2023.